I woke up during the night one night with an idea for a for a fully traceable clothing business. I was alarmed by stories of how garment workers in remote countries were being treated and there was a total disconnect between these tales and the clothing that was available in our shops. There did not seem to be a way to find out whether the clothes I was buying were being produced by suffering people or not. I could hazard a guess, based on price or brand, but no more information was available. My ‘middle of the night’ idea was to provide a code on each garment so that the customer could trace their garment’s creation story – all the way from the cotton fields to the retailer. I called it ‘Where Does It Come From?’ as traceability was the ethos. Originally I was focussed on the markers – the people who touched our clothes before us. I wanted to tell the stories and, in doing so, to connect the customers with their garments. the consumer market place that that we lived in enabled us to buy products cheaper and cheaper which has led to us no longer feeling any kind of love or respect for our clothes. We buy throw away without a thought. this leads to over production, low quality and huge waste. I also believe it affects people. The people who make our clothes often do so in poor condition and low pay. The people who buy cheap clothes tend to be constantly on the look out for perfection and never quite finding it. I began my hunt for production partners by focussing on Fairtrade organisations. I contacted many and had discussions over email, phone and Skype. Surprisingly I was told that finding a fully traceable product was virtually impossible as most suppliers are not linked throughout the supply chain. I began a first partnership with an organisation that was able to find me the raw fairtrade cotton and have it spun into yarn but we struggled to find local weavers and were, at one point, considering importing it to the UK to be woven. Unfortunately we could not connect the supply chain and so the relationship dwindled and I was on the hunt again. Since the project had started I had continually been posting to ‘LinkedIn’ and contracting numerous fabric producers that met my ethical criteria. One day I read a random marketing post from a small producer in India so I emailed, as I had so many others. 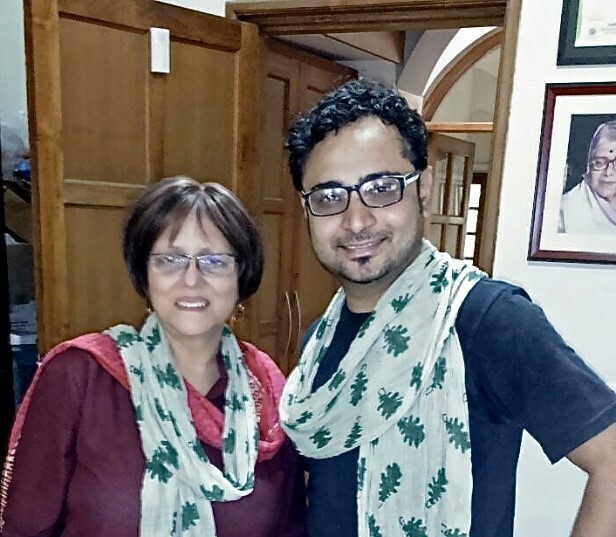 This time I had an enthusiastic response from the founder of Moral Fibre Fabrics, Ms Shailini Seth Amin. We had a conversation by Skype and discovered a mutual love for sustainability and she was extremely supportive of the idea to share stories of the people behind the products. Moral Fibre fabrics are a social enterprise working with Khadi. Their focus is primarily sustainability and the handwoven cloth, but they are a totally traceable supply chain. Bringing together their love of handwoven fabrics and sustainability, with my goals around traceability and fairtrade was the perfect partnership. I ordered some fabric samples and fell in love with the beautiful khadi denims immediately. 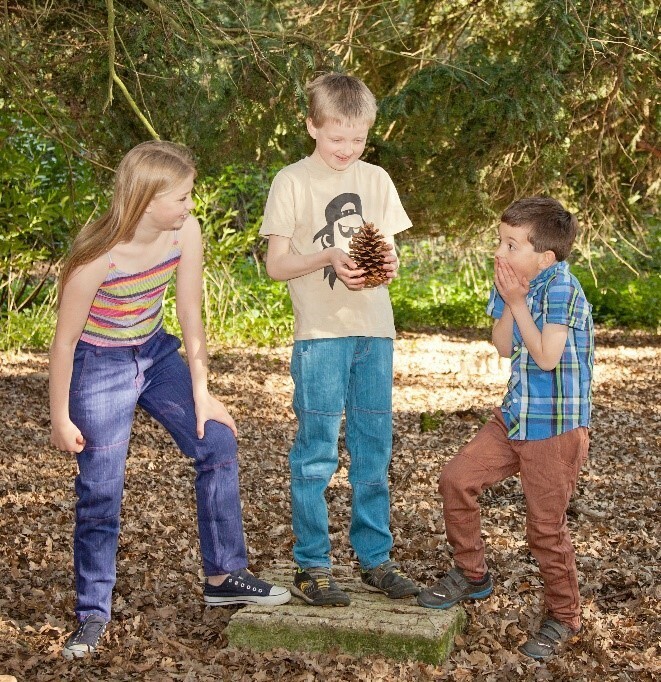 We decided to create some children’s wear using denim for the UK market. The clothes would be long lasting and stylish but not fashion wear. Growth spurt features such as longer legs, button elastic, adoptable poppers etc. were all included in the design, and all dresses became tunic tops when the little girls grow tall! Moral Fibre were at that time focussed on selling fabric but, showing great faith in the project, they bought on board a designer. We worked with the designer to specify the clothing and then contracted the actual tailoring to another social enterprise. It was a huge learning curve for all of us. We learned some valuable lessons, but we reached our goal and the first UK khadi children’s wear was launched in 2014. These designs still form part of our Children’s wear Collection. Since our first clothing launch in 2014 we have since run 4 more productions together. We have 2 underway at the moment. We have used many other local techniques to complement the khadi – such as hand dyeing and block and screen printing. One of our current productions is a wholesale order for a UK client. We are hoping that these larger orders will continue so that we can keep providing work for the khadi artisans and create an even wider global audience for khadi.